Sneak away before Christmas to enjoy a holiday weekend for two. Packed with arts and entertainment, December 16-18 is an ideal time to visit Staunton. Pack for two nights on the town but don’t forget your comfortable walking shoes for last minute downtown shopping. Check into our historic Stonewall Jackson Hotel and take advantage of the Shakespeare Package which includes breakfast, parking, and tickets for two. Add a night to round out the weekend. You’ll need it! Put those comfortable shoes to work and explore downtown Staunton for Stop Staunton First Saturday. We’ve even provided something of a shopping list for you, affectionately called our Favorite Things. You’ll love our restaurants and cafes for impromptu stops for coffee and treats along the way. When you need a break and want to sight-see, pick up the Trolley along the green route for just $.25. The tickets from your Shakespeare Package come into play today. There are two shows to choose from and hopefully you can agree on one. If not, rock-paper-scissors is always a fun way to make a decision. 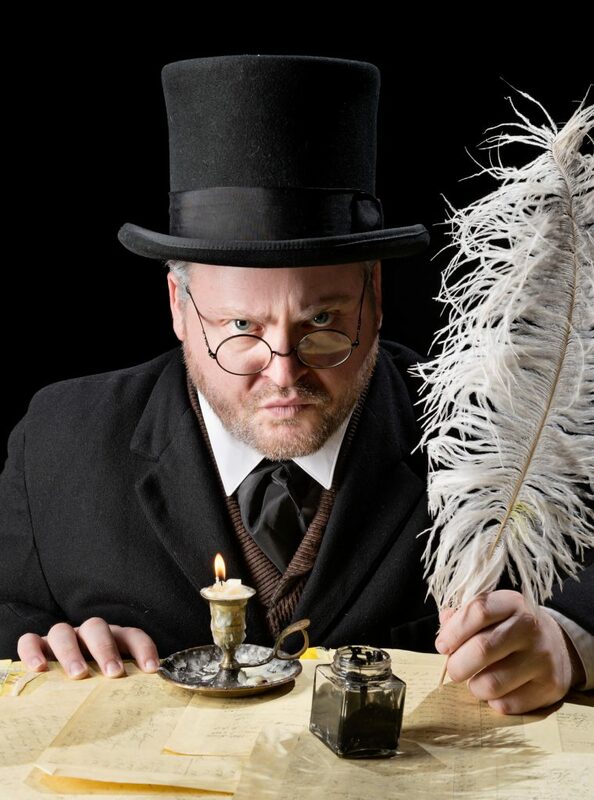 “A Christmas Carol” is offered at 2 and 7:30 p.m. “The Santaland Diaries” begins at 5 p.m. Be sure to peruse the gift shop at the American Shakespeare Center before or after the show to pick up a souvenir of your visit. Before you turn in for the night, stroll through downtown to admire our decorated shop windows!